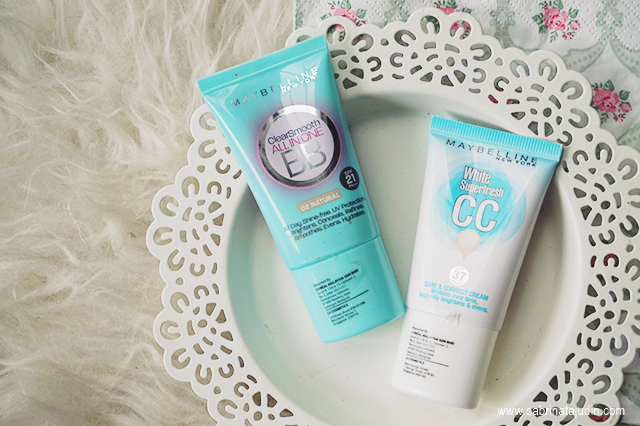 Today I will be reviewing these essential makeup products from Maybelline. When you are just starting makeup. 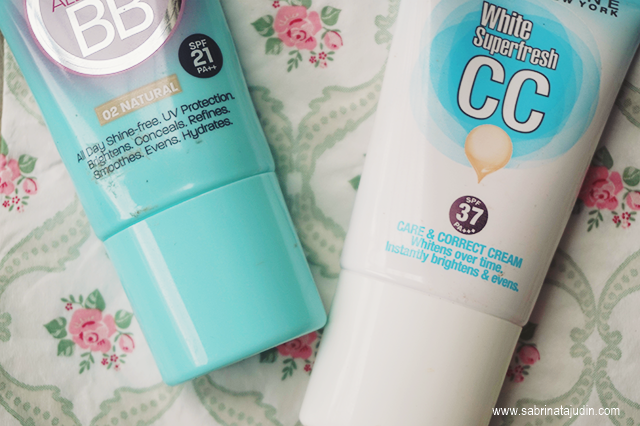 BB Creams and CC Creams are a great choice to start with. They usually very natural and easy to wear. What is the different between BB & CC Creams? BB is basically a short form of Blemish Balm and CC is a short form of Color Corrector. You get the idea here. BB Creams usually helps to keep your skin healthy and CC Creams has more benefits towards giving you that perfect and most natural even skin tone. Best seller BB creams from Mayelline which is the Clear Smooth BB Cream. Comes in 2 shade options, Fresh & Natural. Mine shown here is in the shade Natural. 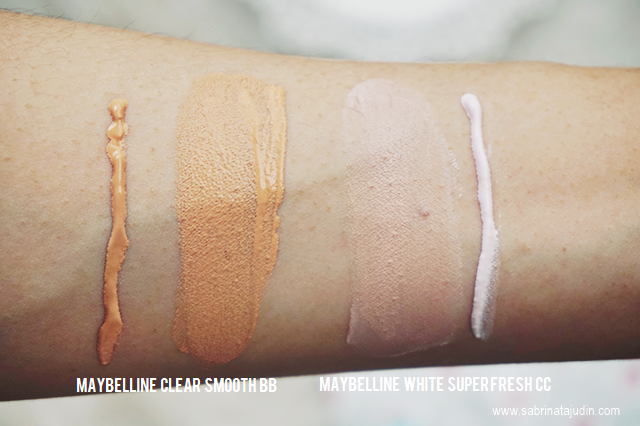 The Maybelline Clear Smooth BB Cream is true to its colors. It is enriched with natural minerals that helps to transform your skin tone looking smooth and natural. The coverage I could say light - medium. A bit bailable but you will still need a concealer to get that perfect natural look. It is easy to blend and does not feel cakey. Less oilier feeling compare to the next one I am reviewing, the CC Cream. I recommend this to anyone, it might work for Oily skin. The Maybelline White Superfresh CC Cream helps to give you that natural fair effect instantly at the same time protects your skin from harmful UV rays. 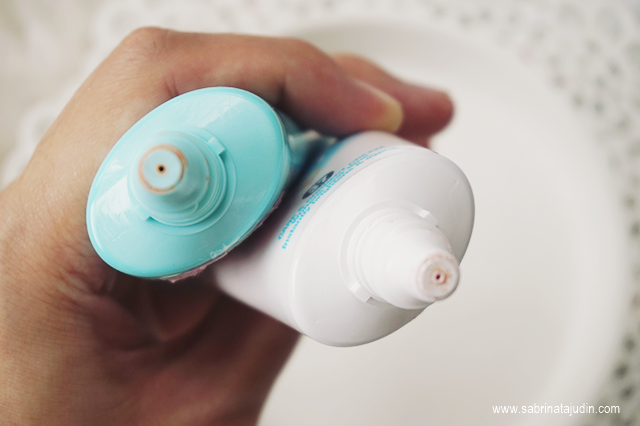 When you squeeze out from the tube, it looks white, but as you blend it on your skin, it will turns into your natural skintone. Bt I could say it would look pretty fair to dark skin tone. The cream feels a bit chalky to my opinion. I only use this during days where my skin has less spot or no newly "pop" out pimples. It is a great cream for a very light cover during my casual days where I just want to have a bit of a skin correcting effect on my skin. All Maybelline products are available all all participating pharmacies. yes! i tried Missha BB Cream before and I have to agree. it is one of the best. never tried guerlain. I'm thinking of buying the Maybelline White Superfresh Liquid Powder :) but I don't know if its worth it. so what is DD cream?